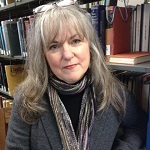 Colleen Thorndike received her PhD in English from Kent State University, her M.A. in English from the University of North Carolina at Charlotte, and her B.A. in English from Francis Marion University. She is a writing instructor in the Department of Writing & Rhetoric at the University of Mississippi. She is currently serving as the Co-Chair of the Transitioning to College Writing Symposium. 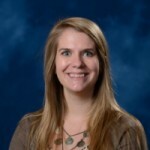 Amber Nichols-Buckley is a writing instructor for the Department of Writing and Rhetoric at the University of Mississippi. 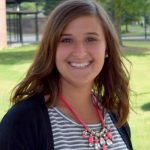 Much of Amber's teaching career has been at the high school level, at Holly Springs High School and Tupelo High School. Her heart lies in the classroom, and she is a strong advocate for Mississippi public schools. Amber is currently serving as the Co-Chair of the Transitioning to College Writing Symposium. If you have any questions, feel free to email her at tcw@go.olemiss.edu or asnichol@olemiss.edu. 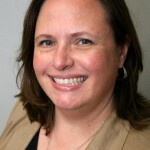 Ellen Shelton directs the UM Writing Project and Pre-College Programs in the Division of Outreach; she holds an Ed.D. in Curriculum and Instruction and a M.A. in English from the University of Mississippi, and taught high school for 15 years; in her spare time she plays the cello and spends time with her husband and her cat (not in that order). Shimikqua Ellis is an English Education PhD student and instructor for the School of Education at the University of Mississippi. 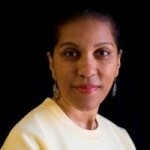 Ms. Ellis has fifteen years of diverse teaching experiences. She taught English grades 9-12 in St. Louis, Missouri for nine years. She trained educators for Teach for America Mississippi and taught 5th grade English for the Oxford School District. 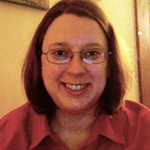 Joanne Mitchell is the Communications Specialist for the Department of Writing & Rhetoric at the University of Mississippi. Mr. Knighten graduated valedictorian as a fellow of the Mississippi Excellence in Teaching Program from the School of Education at the University of Mississippi. As a member of the Sally McDonnell Barksdale Honors College, Mr. Knighten defended his senior thesis on the need for a coherent high school literature curriculum and the current sources of incoherency that hinder this goal. During his time at Ole Miss, Mr. Knighten studied abroad at the University of British Columbia, the University of Calgary, l'Université Catholique de l'Ouest, and le Lycée Maurice-Genevoix. 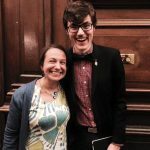 Most recently, Mr. Knighten returned from Lincoln College at Oxford University in the United Kingdom where he began his master's degree in English, presented a paper on Jane Austen's presence in the high school English classroom, and saw 17 theatrical productions. In his temps libre, Mr. Knighten prefers pouring over great books and great authors, patronizing the theatre, and frequenting Missisissippi's best restaurants. Josh Green is the Coordinator of the Northwest MS Community College DeSoto Writing Center as well as a faculty member in the English Department. He earned his M.A. in Literature and Cultural Studies from the University of Memphis. His research interests include theoretical frameworks in education and composition theory, specifically community-engaged pedagogy and collaboratives. Renee Moore, NBCT, teaches English at Mississippi Delta Community College. 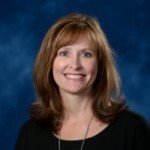 2001 Mississippi Teacher of the Year and a Milken Education Award winner, Moore also works with the Center for Teaching Quality, where she has co-authored the book Teaching 2030 (2011) and writes an education blog at TeachMoore. Her work as a teacher/leader is profiled in the book Teacherpreneurs: Innovative Teachers Who Lead But Don’t Leave (2013). 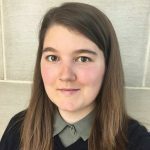 Katherine Flowers is an Assistant Professor of English at Mississippi State University, where she teaches courses in composition and professional writing. She received her PhD in English with a Concentration in Writing Studies from the University of Illinois at Urbana-Champaign. Brittany Franks is an English teacher at Oxford High School in Oxford, MS. After receiving her B.A. in English Education from The University of Mississippi, she began teaching freshman English at Tupelo High School. A year later she found herself moving across campus to teach sophomores, and it stuck. Through more years of teaching, a new city, and a new school, her 10th graders have remained. 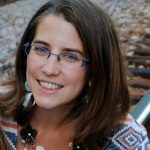 In 2017, she became a National Board Certified Teacher, and with that newfound confidence (or same old craziness), she decided to take on the implementation of a writing center at Oxford High School after attending a session on writing center pedagogue at TCW 2017. The Writer’s Block was born soon after. Now, her spare time is devoted to convincing OHS’s students of all levels to sit down and have a conversation about writing - even if she has to bribe them with cookies. Don Unger is an Assistant Professor in the Department of Writing & Rhetoric at the University of Mississippi. He has Ph.D. is in Rhetoric & Composition from Purdue University. His research addresses how network technologies shape activism and community writing. 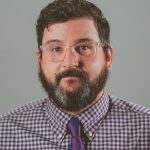 He serves as the Co-Managing Editor of Spark: A Journal of Activism in Writing, Rhetoric & Literacy Studies and as the Social-Media Editor for Present Tense: A Journal of Rhetoric in Society. Tatiana Glushko is Coordinator of the Richard Wright Center at Jackson State University, where she began as a graduate tutor in 2006. 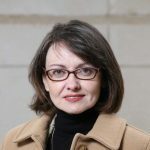 She has taught English Composition and English to Speakers of Other Languages both in Russia and in the U.S. Glushko also serves on the board of Mississippi Writing Center Association. Kathi has taught writing and trained tutors on campuses large and small, public and private for the past twenty-five years. 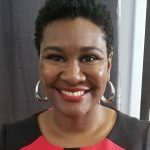 Since 2013, she has been Director of the Richard Wright Center for Writing, Rhetoric and Research, and since 2010, she has also been an instructor of English at Jackson State University. Since she arrived in Mississippi in 1998, she has been actively involved in state and regional conversations about writing, and she currently serves on the board of the Mississippi Writing Center Association (MSWCA), which she helped found. 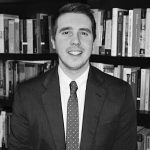 Glenn is the Administrative Coordinator for Writing and Rhetoric and has witnessed the growth of the TCW symposium since its inception in 2010. As the mother of two teenage boys, she sees the direct impact of changes and improvements in the writing process. She is proud to be associated with a program aimed directly at providing students with the skills and resources needed to develop and communicate effectively in a multimodal environment.